Loneliness and isolation is something women entrepreneurs deal with all the time. Maybe other entrepreneurs (e.g., “male,” “wookie”, etc.) also feel isolated. Here’s something I learned recently when prepping for a presentation to investor/advisors: According to the US Census, there are 7.8 million female entrepreneurs (i.e. women-owned businesses in the US). 6.9 million of these have no employees. So ladies, it’s just us. Everyday. There are 7.8 million female entrepreneurs (i.e. women-owned businesses in the US). 6.9 million of these have no employees. We don’t do it by accident. Some of us do it to have more flexibility, or to save time commuting, or because we can. As an outgrowth of the issues mentioned in this earlier post, I worked at home more and more each year to provide stability for my kids…one in particular. We have a sitter, sure, but to know I’m around and be part of “Plan B” was a good thing. Then, and I’m not sure when, working at home started not becoming a good thing. It can dampen one’s “verve.” For instance, I have three different investors, and people at the State Department, and a major literary agent, and women-at-large tell me they love what I’m doing with the Hot Mommas Project and our new Sis U/New Sisterhood seminars. All sounds peachy, right? So what’s the problem. I just wasn’t quite ready to move forward. Now, as I look over and see my husband…I feel supported…even though we’re not talking. We’re nerding out, saying nothing, and I feel supported. And it is good. Q: Won’t you kill each other? I could never share an office with my spouse. A: We actually shared space a majority of the last 10 years (I started my own business 10 years ago). But, then I was given an office at GW (where I teach) and in the off-time decided to be home more…and we drifted away from that formula. Q: How is there enough space for you two and all your stuff for two businesses? 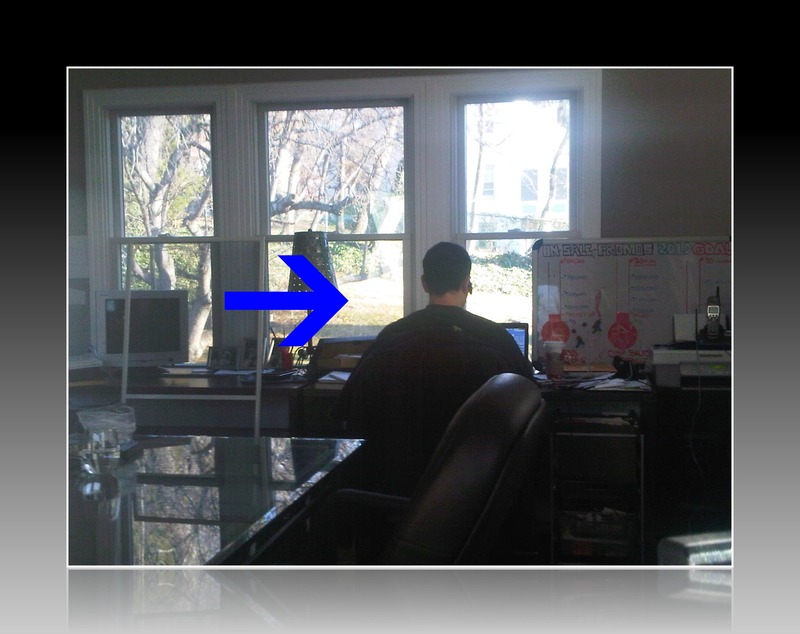 A: We have a separate structure on our property which has a big room for the office over the garage. It’s my writing “artist’s studio” and quiet haven. So, because we don’t have to share space with the “normal” house, we are able to have something master-bedroom sized which holds a few desks and a conference table. It’s the only good pay-back for the pain of building a house from the ground up…in DC…which is a nightmare on that sort of stuff. Q: How do you deal with phone calls in an open office environment? A: He’ll step into another room, or I’ll have on earphones with music playing. When I’m on a call where it needs to be quiet, I’ll just let him know. He also has a noise cancelling earphone for his phone. These are all the questions I can think of. Have more, or thoughts on this, please post below. PARTING THOUGHTS: As I hinted in this earlier post, I’ve spent so much time on “building the model” and focusing on “traditional” success, that I forgot about the human who is the entrepreneur. When Mama ain’t happy, ain’t no body happy. And, today, Mama is happy with the proverbial “all”: A business model investors like, a supportive and non-lonely office environment, and a beginning of a year that is looking great. As you all know from reading over past MDPT (Million Dollar Part Time) posts, it’s not been easy….but it feels good to be here…right now. ABOUT: Building a Million Dollar Business Part-Time (MDPT) is an insiders, business-junkie series within the Hot Mommas Project blog. Be sure to turn into our regularly-scheduled programming, including these cool posts. 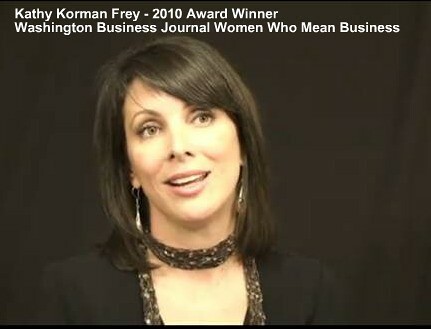 Hot Mommas Project is the award-winning research of Kathy Korman Frey, faculty at the George Washington University School of Business, CFEE. On January 31 of 2010, the project became the world’s largest women’s case study library providing free, online, global access to female role models and mentors to raise self-efficacy among women & girls in formal and informal learning environments. Do you know a dynamic woman over the age of 18? Be part of the solution for women and girls. Nominate her to share her story and lessons, help other women and the next generation, and have a chance to get published in a major Prentice Hall Textbook. Nominate a dynamic woman HERE. Browse winning cases HERE. P.s. Spending more time in the office has led me to enhance my Hot Mommas Project soundtrack (click here). Loving Lily Allen, Gorillaz, Fugees, Gnarls Barkley right now. Well, so far the first poll-taker is not lonely or isolated as a solopreneur. Maybe it’s just me? Hmmm. RT @ChiefHotMomma: You’re Cheap, I’m Lonely, Let’s Hang Out Insider’s Blog) http://ad.vu/6hvx – enjoy this new chapter, Kathy! I’ve had this conversation many, many times….the last one being just YESTERDAY. I think is the reason why those co-op spaces (is that the tech name??) are becoming more and more popular. As much as many of us become entrpreneurs to “do our own thing”, we can’t escape the fact that we are human and we crave for a team. Even if that team isn’t directly linked to your business, there’s something about gathering with others that lifts your soul. I would almost liken the feeling at times to Seasonal Affective Disorder – during the months when we see less of the sun and tend to be couped up, some people get depressed. Just replace “sun” with “people” and that’s how some of the people I’ve spoken to feel about entrepreneurial isolation. I still prefer my home office, for now, so that I don’t have to worry about missing pick up and drop off times for my kids and school. But like your thought leadership on creating a personal advisory board, there’s something about “people” that we can’t just ignore. As much as they can drive us up the wall from time to time, we need each other like we need water. Sure, I mean, why is there free wireless at Starbucks, right? Even just to be around people can start to take the edge off of “solo preneur isolation.” And, like you said, the group of five mentors serves a DOUBLE purpose for the solopreneur. And the truth is, left to my own devices I would stay a solopreneur. I never had dreams of “building the empire” with tons of people working under me. It would be (and is right now) investor/advisor types who are forcing me to hire. Again, the role of mentors as we’ll discuss in #sisUto hopefully this summer. The trend you’re talking about is, well, I’ve heard it called “incubator.” But, as someone who helped raise a few million during the .com era, that term has a kind of “90s” feel to me. In this article from MIT (link below) you can see they’re purposelyNOT using the term “incubator.” So, if people are using that, BEWARE! It means they are not up on business terminology and trends (in the REAL business world … or, at least were not part of it) for the past 2 decades. Does that matter to you, or not? To me, it would . That term gives me the wilies. “Co-working” and “shared space” need to give way toward a much cooler term. Entrepreneur coop is actually pretty good Lyd. I try to schedule or attend real life meet-ups but it’s hard when you are starting a business. You spend hours on the computer or on the phone in my business. Love working in my pjs but could use a chat over a coffee too. Sometimes i rely on twitter to fill the void too much. Better to just get out wen I have free time. Great post, thanks! I find that social media DOES fill avoid and agree with you. It’s probably one of the big reasons growth of women in certain social networks is high. Sounds like you have a good, balanced perspective. Thanks for sharing what you and your husband are doing. My husband is getting more and more involved in my home business which is great as he has a totally different skill set to me. We see this evolving more and more over the next 3 years as we design the business to support our ideal family life and lifestyle. Hearing other peoples approach and experiences is always good food for thought. Ali, we have worked really hard on this “set up.” It’s taken years. We both used to work in high-power, big offices. Then I started my own business, and moved in with his business (two big warehouses, an office, and tons of staff in Springfield, Virginia). Then, my husband changed his business so he was mainly selling, not assembling, and let go of the warehouse space and we moved the office to DC and bought a dual-zoned townhouse. I had an entirely virtual workforce at this time, and moved with him. We sold that at the height of the market, bought another property off market, and while we were renovating it my husband found office space across the street from the new property. I did not join him there and was busy with my hard hat and diaper bag during this time. When he outsourced the last part of his business, and didn’t need several offices, he moved in with me to our nice, new, renovated garage mahal office. There is even an office for me at GW – but, I only use it on days when I teach. I save 5 hours (plus) a week commuting. I save about 3 hours getting ready each week (e.g. no meeting, no dress up!). My husband has about the same. We repurpose these hours into working out, and time with each other and the kids. We’ve gone from an hour commute each day, to a 10 minute commute (walking), to a 2 minute commute (walking), to a 30 second commute (if that – the Garage Mahal). The staff LOVE the garage mahal when they come for meetings or to camp out. Most work virtually. It’s a special set up, but, it’s been a process. My work at home lifestyle is perfect for having a dog as a companion. He is a perfect alarm clock with a repetitive taps on the floor to get my attention to stop for lunch and dinner. Best of all I have to get out and walk him. The camaraderie I would receive from co-workers I get from knowing my neighbors and community. When living in upper NorthWest DC I was part of the “Day timers” folks who worked from home. I have worked from home from all the locations we have lived in over the years. Currently I live near Cambridge in England. My work space is just that a place to work. In all of our moves my husband finds a place with an ideal space for me to work and us to live. Sometimes we have had both of our desks in the same space. Currently we have two adjoining rooms on the same floor. He spends only the evenings and weekends in his home office. I also regularly attend business events. Anyone following me on twitter will soon notice that the folks in the Cambridgeshire are a chatty group. Fantastic! Thanks Bonnie. Yes, our dog Foxy comes in with us sometimes. She is not a big fan of the UPS guy, however. I may follow up with you about any “Hot Mommas” you know in England! 7 days left to publish 2011 cases for this year, and serve as a mentor for women and girls. Hello, Everybody. Please leave a minute for me, thanks. Our store online is only for Oakley sunglasses, we provide all kinds of Oakley Sunglasses Cheap, such as: Oakley Sunglasses 2011,Oakley Photochromic, Oakley Active……high quality but Cheap Sunglasses Sunglasses , that’s not a discount, it is a price for all your life.